Imagine yourself on the way to an interview. You’re taking the elevator up to your destination when you realize the other occupant is your interviewer and they say, “tell me about yourself”. You have a short window to describe who you are, what you do and why they should hire you. That’s the elevator pitch. 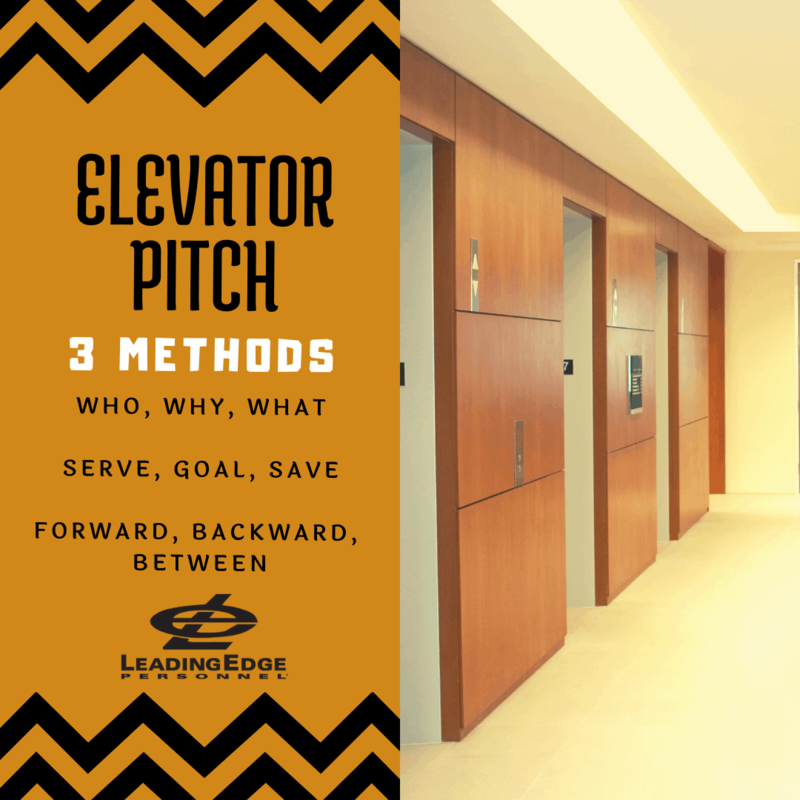 Of course, this isn’t usually the use-case, however, a carefully crafted elevator pitch is a powerful tool to use during your job search. Subscribe now to get the guide to Crafting Your Elevator Pitch and more! When you craft, practice and memorize a good pitch, you can use this in more than interviews. It’s a great way to introduce yourself at networking events, conferences, meetups, training events and more. Practice makes perfect. Don’t simply write this down and then look at it before going in for an interview. Let your pitch become an integral part of your introduction. When you do this, your pitch will sound more natural with time. If you want more practice, you can try looking up local Toastmasters events near you. Bring a business card or some sort of communication take away- where can they find you? Hi, I’m Laura. I’m a recruiter with a background in human resources and my passion is data analytics and marketing. I’m currently working in recruitment marketing and developing a newsletter to assist job seekers. I’m interested in connecting candidates to jobs in Austin and San Antonio and meeting them to understand how I can better serve them through the content we create. Hi, I’m Laura. I help job seekers in Austin and San Antonio get introductions with hiring managers without the need to one-click apply on job sites endlessly. Hi, My name is Laura and I’m looking to get into data analytics. I have a passion for numbers, statistics, graphs, data modeling and I’m an Excel guru. My past roles have been rooted in human resources and recruiting and in the last 3 years, my focus in my positions shifted to using data to help optimize our recruitment strategy and marketing spend. To me, data analytics is very closely related to recruiting because, in this market, it really is a numbers game. My passion for understanding how to interpret data as well as my experience in building analysis programs make me a great candidate. Do you think we can connect to chat a bit more? 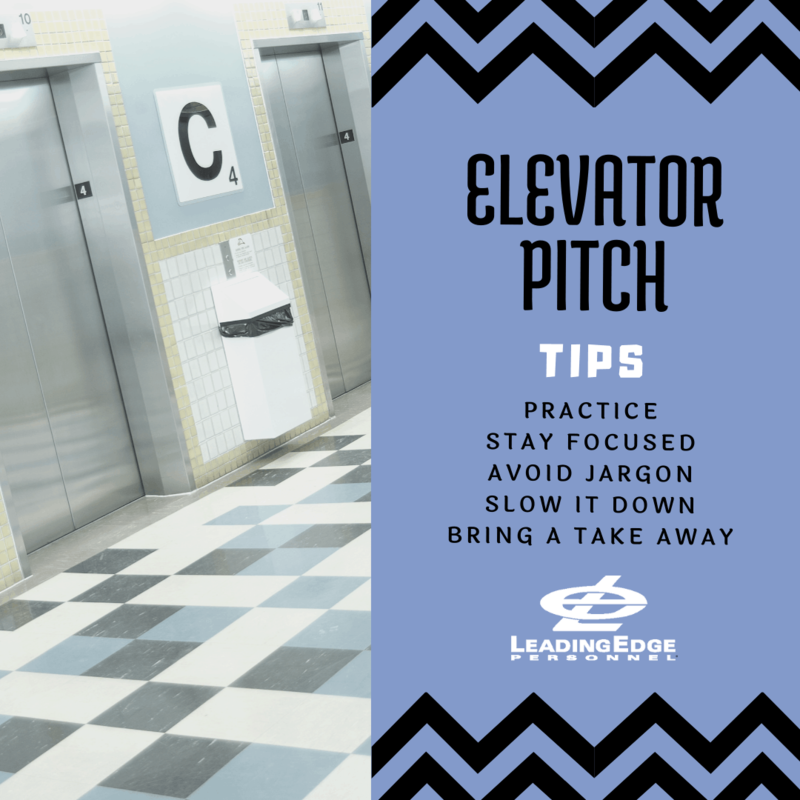 There are plenty of options in crafting a great elevator pitch. Now that you have 3 specific options, there’s no reason to stumble when prompted to introduce yourself. In addition, when you perfect your method, you can use pitches to introduce members of your network to one another which can be a powerful business tool. For more tips on resumes, applying fast, asking the right questions and more, share, follow us and subscribe to our newsletter. LeadingEdge Personnel strives to be the best staffing agency and employer in Austin and San Antonio. To see our current openings, click here!